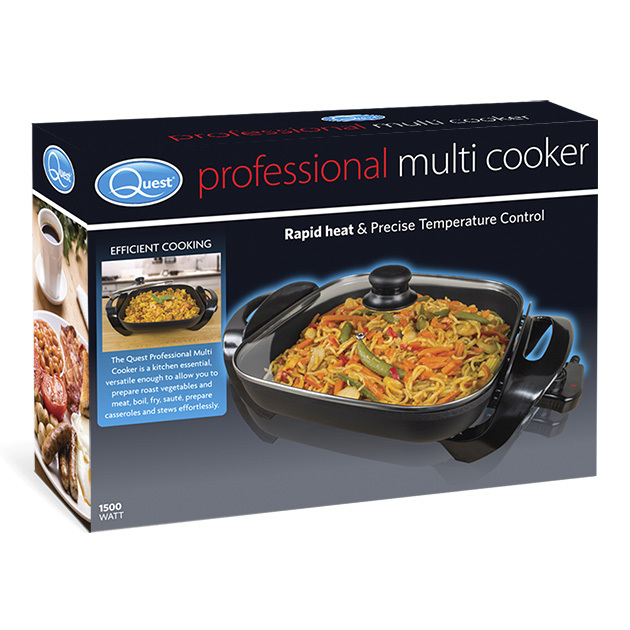 The Quest brand brings you this Professional Multi Cooker which is a kitchen essential, versatile enough to allow you to prepare roast vegetables and meat, boil, fry, sauce, prepare casseroles and stew effortlessly. This powerful 1500W Professional Multi Cooker is a kitchen essential, versatile enough to allow you to prepare roast vegetables and meat, boil, fry, sauce, prepare casseroles and stew effortlessly. Ideal for entertaining or family meals. With a non-stick coating, and controllable thermostat offering temperatures up to 240°C, this also allows for healthy, easy clean cooking. Once cooked you can remove the power cord, place the cooker on the table and serve straight to the family. 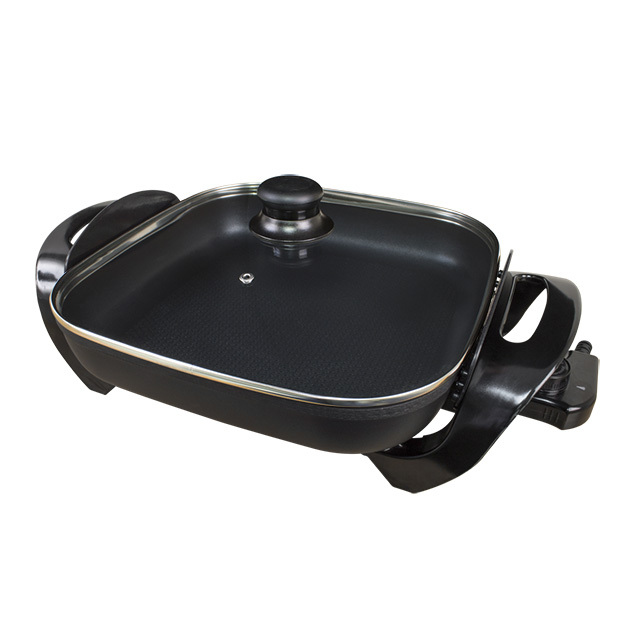 Ideal for fried or stewed food or baking and refining dishes. 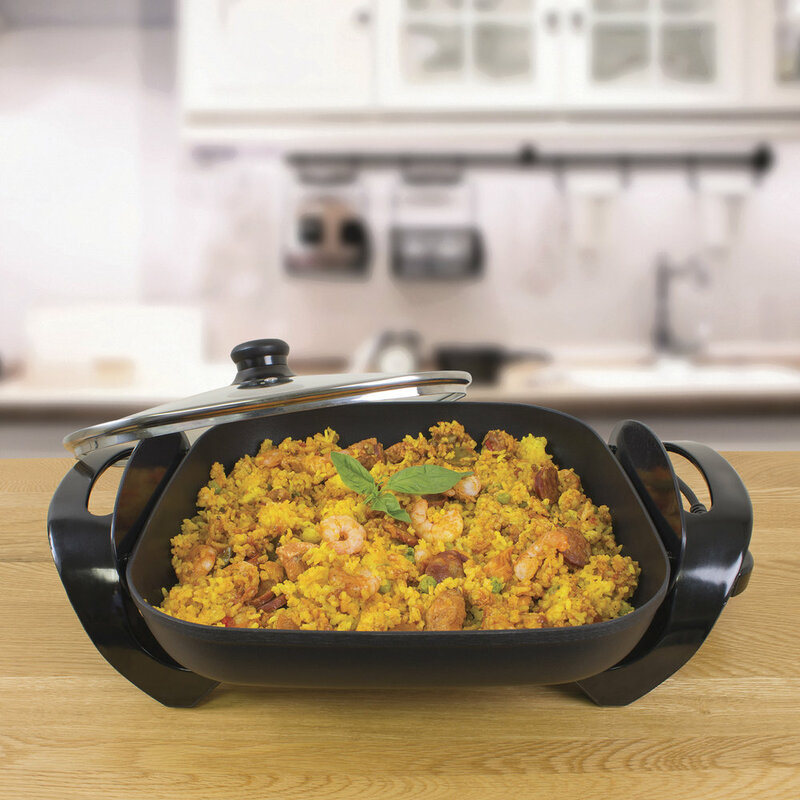 Perfect for cooking paellas, omelettes, steak, pancakes, pizzas and much more.